You’ve already put in the long hours of conditioning, long-distance runs, speed work and stretching for hours every day. Now your 5k, half-marathon or full marathon (defined as a 26.2 mile race) is right around the corner. 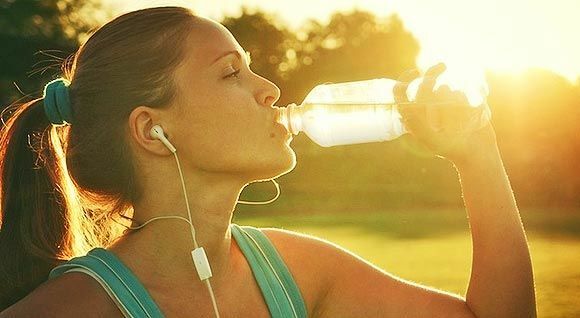 Hopefully at this point you have some idea of how to prepare for the race, but we want to give you some pointers on how to stay healthy and enjoy the race. It’s important that you do more than stretch and practice good nutrition. Protecting your health, along with your posture and joints, is imperative before taking on a race of this magnitude. 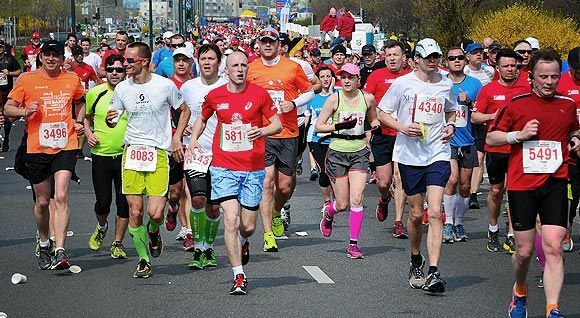 Let’s take a look at practice recommendations, sleep requirements, the proper clothing and marathon preparations the day before your big race. Leaving yourself enough time to prepare for the marathon helps to ward off injury and ensure a smooth and steady race to the finish line. It’s always best to check with your primary care doctor, nutritionist and physical therapist or chiropractor (if you have any preexisting conditions) to make sure you’re healthy enough for a marathon. You can also get tips and advice from these professionals regarding nutrition and optimal performance as well. For example, appropriate training and proper weight distribution are absolutely crucial when it comes to the joints such as the knees, says Runners World. Healthy joints result from compressive forces that are even in terms of amount and direction, so learning the proper running form, wearing the right shoes, offsetting running regimens with cross training, and avoiding over-taxed joints are all keys to success. Before the big day, take it easy. There’s no need to run at all on this day; don’t worry, you won’t lose any conditioning, says Active. You want to warm up before you race, but don’t deplete your energy doing so. You’ll be doing enough walking by heading down to the race site, registering and picking up your number (many marathons do this the day before, not the day of). The night before, feel free to participate in carbo-loading but this isn’t a necessity. Many runners find that a lot of extra carbs help with energy levels during a long grueling race like a marathon. Don’t east too much and stuff yourself though. Eating too much can be counterproductive even though runners are historically told to eat a lot. A better rule of thumb is to practice a healthy eating plan, which you can replicate again the next day. This is where you want to consult with an expert to ensure you have the right nutrition for you. There’s nothing worse than running on a full stomach or not feeling well because you’re not used to loading up on pasta. Eat what’s right for you and that gels with your nutrition routine. You may have aspirations of sleeping like a baby for hours upon hours the night before the marathon. This lofty goal is not always attainable but definitely try your best to get some good rest. That being said, don’t stress about not getting enough sleep. Often the biggest hindrance to getting a good nights sleep the night before a race, is the desire to have a good nights sleep. Relax and let nature do it’s thing. If you’re nutrition is on point and you’ve prepared with enough long distance running you should be fine. Besides, the adrenaline rush you will get from the race day itself will be more than enough to pull you through. This doesn’t mean you should stay up all night and party! Stay in, get comfortable, read a book, take a soothing bath, listen to calming music and chill. Sleep will come naturally and you’re only hurting yourself worrying about it. There are countless running shoes on the market today. Only through the process of elimination and hours of running time can you decide which sneaker is the best fit for you. No matter which one you eventually settle on, don’t buy new sneakers right before a race, as they need time to break in. Avoid misalignment of the spine and stress on the joints by varying your running surface during training and replacing your shoes every few hundred miles. It’s also wise to have two pairs of trusted running shoes and switch between the two during training. Wear comfortable, light clothing for the race that wicks away moisture. If you can, train once or twice in your race-day attire to ensure you feel as comfortable as possible. Protecting your overall health, particularly your joints and posture, while running a marathon is key to maintaining a steady stride and a successful outcome. At the time of this posting we have a few big races coming up in the Portland, Oregon area including the famous Shamrock Run. We see a lot of patients around this time but it’s usually after the big race rather than before. Because we specialize in sports medicine and physical therapy we know a thing or two about keeping runners like you healthy. 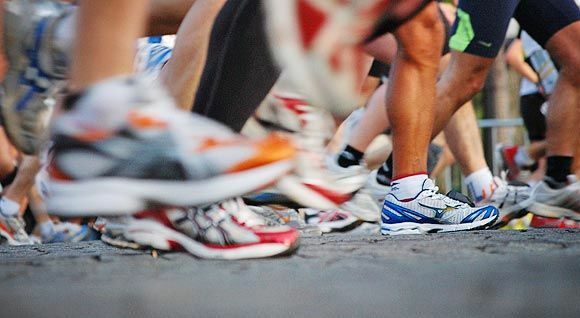 If you’ve ever been injured or have any chronic issues associated with athletics we recommend seeing a chiropractor before the race so you can prepare yourself and hopefully avoid aggravating your injury. If you live in the Portland, Oregon area and plan on participating in the Shamrock Run give us a call or visit us at our Portland Chiropractic Clinic. We would be happy to consult with you and help create a plan to protect your joints and improve your posture before, and after, the big race.